The son of a Glasgow house-factor, he trained under Hugh Barclay , 1857-64, and with James Hamilton II, then entered into partnership with Campbell Douglas in 1872. Making his name with his competition winning gothic designs for the Stewart Memorial Fountain, Kelvingrove Park (1872), he produced buildings of every type and style in Glasgow and elsewhere, and participated in a number of important competitions throughout his career. Greatly Influenced by Alexander 'Greek' Thomson , he designed the classical St. Andrew's Halls (now Mitchell Theatre), Granville Street (1873-77), Kelvinside Academy, Bellshaugh Road (1878), and Kelvingrove Parish Church, Derby Street (1878). At St Andrew's Halls he incorporated Thomson 's design for an entrance to his unsuccessful entry in the South Kensington Museum Competition of 1864, and employed William Mossman II to carve its Atlantes. Mossman also executed the building's Caryatid figures whilst John Mossman produced sculpture groups representing figures from the arts. Although unsuccessful in the City Chambers competitions of 1880 (motto: Civis Sum) and 1881-2 (motto: Accipio Revocamen), he nevertheless won critical praise for his designs, with one reviewer commenting: "why [Civis Sum] was not premiated [is] difficult to understand". He later won the competitions for the Victoria Infirmary (1882, motto: Hygiene), and the Kelvingrove Exhibition Buildings (1888). 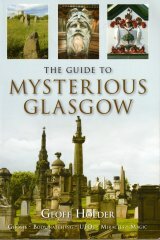 In the 1880s, he worked predominantly in the French and Italian renaissance styles for his commercial and domestic buildings, reserving gothic for his many churches in the city, e.g., Hillhead Parish Church, Saltoun Street (1875-7), and Belhaven UP Church (now St Luke's Greek Orthodox Cathedral), Dundonald Road (1877). During this period his designs regularly featured in the architectural press where they were often reproduced by T Raffles Davison, the doyen of architectural illustrators, including the interiors of the now gutted New Club, 144-6 West George Street (1877-9). One of his finest surviving buildings in Glasgow, the New Club also features sculpture by William Mossman II , and was renamed James Sellars House in the architect's honour, in 1981. His other buildings include, St Enoch's Free Church, Old Dumbarton Road (1871, dem. c. 1941); business premises for the Employers Liability Assurance Corporation, 75 Nelson Mandela Place (1876-7, dem. c. 1904); Milton School (1878, dem. 1960s); the Glasgow Herald Building (1879) and Fraser's Department Store (1883), both in Buchanan Street, and Gorbals Medical Mission, 46 Gorbals Street (1883-4, dem. 1974). A good example of his tenement designs is at 252-6 Paisley Road West, which features his carved initials - a rare example of a building in Glasgow 'signed' by its architect (1882). Sellars reputedly died of gangrene after injuring a foot whilst visiting the Kelvingrove Exhibition construction site. His final work, Anderson Medical College, Dumbarton Road (1888-9) was completed by his assistant John Keppie, who later designed his monument for Lambhill Cemetery, 1889. The monument was designed in the Egyptian style and executed by Edward Good, and originally incorporated a large, bronze portrait panel by J P Macgillivray which has since been stolen. Nisbet (1993, rev. 1994, 1996).